Learn to make pasta, farm the land and bask in the Grottole sun for this cool three-month experience. If you're tired of the overly touristy and beaten tracks of the bustling Italian cities, Airbnb has an offer sure to entice your inner need for a peaceful escape. You will immerse yourself into local culture and village life as you uncover the art of cooking, speaking and acting the Italian way. You'll get to stay in a traditional home in the heart of the snug town and mingle closely with the locals. This initiative is being held in conjunction with the local community and a local non-profit organisation called Wonder Grottole looking to revitalise and save the dying Italian dorpie and its historical centre. Up to four lucky contenders stand the chance to get a taste of true rural life in Italy with this experience and the selected candidates will become temporary citizens of the village while volunteering for Wonder Grottole. 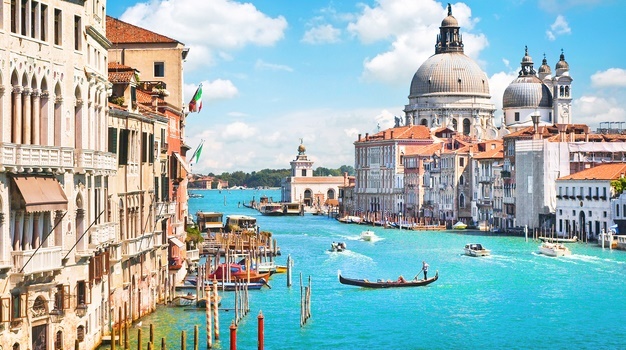 READ THIS Quick Guide: The Mamma Mia of your Italy trip planning sorted! You have until 17 February to visit the Italian Sabbatical page, hit apply and fill in the deets. You will need to hold or be entitled to a visa or passport that will allow you to stay in Italy for three months. Have a passport that's valid up until six months after the end of the sabbatical. Speak English at least at a conversational level. Be in good enough shape for the rural life. Sitting atop the Lucan hills, this quaint and beautiful Italian village is home to no more than about 2 000 citizens. You can spend your day strolling through the abandoned homes of the historic centre and learning about the careful art of making delicious and authentic Italian pasta.